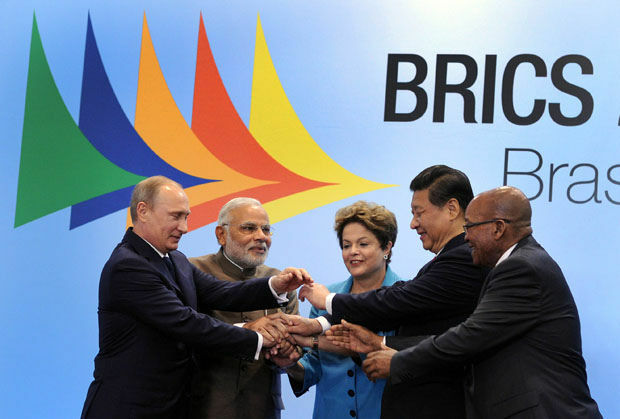 MONTEVIDEO, Jul 18 2014 (IPS) - While this week’s BRICS summit might have been off the radar of Western powers, the leaders of its five member countries launched a financial system to rival Bretton Woods institutions and held an unprecedented meeting with the governments of South America. Some leftist governments –namely Bolivia, Venezuela and Ecuador— frequently accuse Washington of pursuing an imperialist agenda in the region. But it was the president of Uruguay, José Mujica –whose government has warm and close ties with the Barack Obama administration— who better explained the shifting balance experienced by Latin America in its relationships with the rest of the world.